Show your yard a little TLC for the coming spring! Your Ottawa trees are robust plants, but they still need maintenance. By following these simple tips, you’ll have lush, healthy trees that will be the envy of the neighborhood! Clearing away litter, branches, and leaves that have been trapped under the snow is the first step in nursing your trees. By removing debris, you’re protecting your trees from fungi and providing them with enough space to grow. Raking also protects your trees because you’re removing thatch, which stops your grass and tree roots from getting the air and water they need. If you’re a dog owner, it’s time to pick up all those gifts they’ve left in the yard because it can’t be composted. A dog’s waste contains pathogens that are not good for your plants. Your trees endured heavy snow and fierce winds over the winter, so they may have broken or entwined branches that need to be cut down. This is essential since they pose a safety risk. Trimming your trees will also help them flourish once the weather warms up. 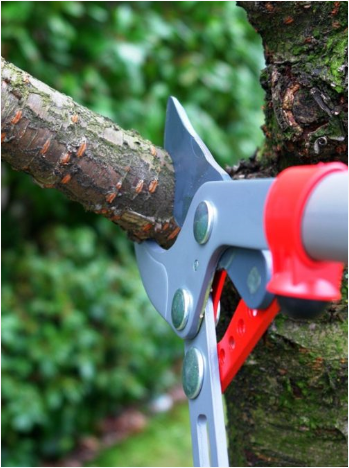 Depending on where your trees are positioned on your property, they may fall under the City’s jurisdiction, preventing you from going near them with cutting implements. If you think your trees have become a risk, call the City so they can deal with the situation. Otherwise, have a professional team do the trimming for you. Although you may be allowed to tend to them yourself, trimming your trees can still be risky—anything having to do with ladders and heights always is—so call a professional to handle this part of your outdoor maintenance. Over the winter, trees lose nutrients and essential vitamins, but they can get them back with fertilizer. By adding mulch at the base of your trees, it will also stop weed growth, restore moisture to the soil, and reduce damage from mowers. Mulch consists of compost, straw or bark chips. Remember to leave about two to three inches between the mulch and tree’s base so the tree still gets moisture and won’t decay. The best times to put down fertilizer are before or after a light rain, and if you water the tree yourself, wait two days before laying down a layer of mulch to give your tree time to drink the water in. With Rock’s Tree Service, you get dedicated and passionate professionals who do everything they can to keep nature healthy. We’re trained by Arboriculture Canada, fully insured, and have more than 15 years of experience in the industry, having served Ottawa since 2012! Contact us today for expert advice or a free consultation!